“The Redskins are trying to establish a new regime with new schemes at Redskins Park, and it is not an organization that Albert would have ever been attracted to just a short year ago – regardless of the money,” agent Chad Speck said in a phone interview. 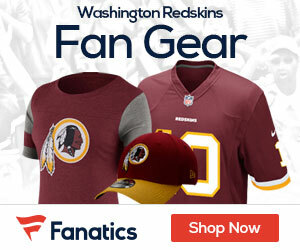 “He has made it clear to me that he does not want to play for the Washington Redskins. This much I can guarantee, no one in their heart is a bit surprised by this.